Cloud Linux is a paid operating system which based from Cent OS. What make it different from the other operating system is the LVE. LVE stands from Lightweight Virtual Environment, is a support form Cloud Linux (CL) technology which developed exclusively by cloud Linux team. LVE is a kernel level technology which manages and functioned to isolate every account inside Cpanel WHM and resource monitoring. In the conventional server, there won’t be any resource limitation for each user (user here means 1 Cpanel account, not 1 domain). The main problem of resource is the CPU usage, IO disk, bad MySQL query and other running script. Before Cloud Linux existed, these things is like a game between cat and mouse. System Admin get email announcement about user which causing the server overload, then he login to WHM and suspend the user. With resource management based on the given for each account, It means when the separation already maximize we can’t make another Cpanel account so it can’t be overselling. Just like VPS. If all resources/memory used have already given, we won’t be able to make another. So resources which you get in cloudhosting are dedicated resources. If you don’t use it, it also can’t be used by another user. So Cloud Linux is the solution to make it easier for server admin because you won’t need to have a hard time suspending user that cause overload and for user won’t need to have sudden suspension. You are wrong. CloudLinux does not limit the whole account. It only does this for Apache or Web Process. A user could still be bogging down a server with Email usage, or FTP, or Databases of what ever is not related to a PHP script or web process directly. Your article advertises it as a solution for a whole cPanel account which is not true at all. Actually Cloud Linux does a terrible job limiting RAM so they disabled that feature by default and just recently they introduce a MySQL addon which you can use without Cloud Linux as well. The products is ok but people think it does think which it doesnt. Its not virtualization and it does not limit an whole account. Just apache process and you even need to compile it a special way to work with. This is the first time I have heard anything different on Cloud Linux. To me it seems like a must-have tool for web hosts. we are actually planning on impelemnting on our next server so your comments are very helpful. 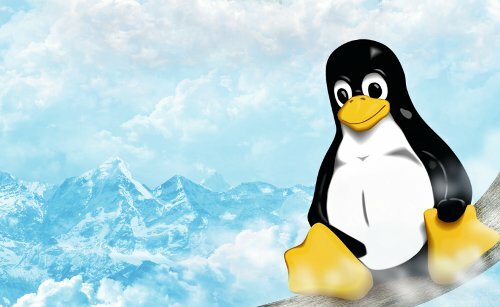 Is there anyone else that has had similar experiences with Cloud Linux? I can say their communications are very good.